Would You Ban These Books? An unofficial exhibitor set up shop this past Sunday at Chicago’s Printers Row Lit Fest with a white poster board filled with covers of provocative books traveling the political spectrum from the Communist Manifesto to Mein Kampf, and everything in between. He asked passers by if they would be interested in trying to ban any of these books. Participants could pick three and mark tally with a red Sharpie. I happened to hit his time there when I had some time to kill before a reading event I wanted to check out. I stopped by the Independent Publishers table and met the guys at Knee-Jerk Magazine. I also won a solid round of Rocks-Paper-Scissors to score a $2 discount off their print edition. Definitely the coolest round of the classic game I ever played. Thanks, guys! Our Guy with the Poster Board was set up along the curb across from the tent. I definitely experienced my own knee-jerk reaction of amusement, especially after seeing the wide range of choices. My first reaction to things like that is often Observe and Move On. Which sometimes leads me to Participate and Do. And I wanted my brief time this weekend at the Fest (where I also helped out at the NewTown Writers table) to involve some participation. So I took the Sharpie, and made my marks under Sarah Palin’s Going Rogue, Glen Beck’s Broke, and Ann Coulter’s Guilty. Even though I have not read any of them. 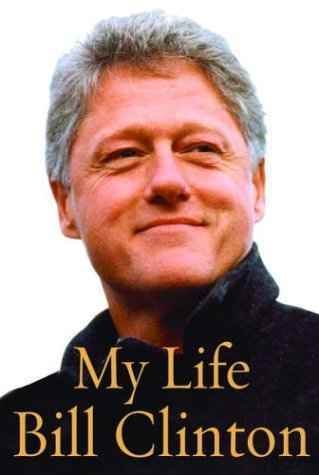 Other choices in addition to to aforementioned political manifestos included Bill Clinton’s My Life and books by President Obama, Michael Moore, Ayn Rand, and others. I haven’t read any of those books either, though that’s not to say that I wouldn’t. My political-historical non-fiction reading tends to fall more under WWII memoirs and books by Sarah Vowell. Then I noticed the little video camera and was like Great. Because honestly, I would never actually seek to ban the books I chose–or any of the ones I didn’t choose. Though my default setting for the three I chose is that I’d really like them all to just shut up and go away. Then I move on from there to more intelligent thinking. I’d be pretty pissed if any books of mine were ever banned. I was also riled up by my recent trip to Denmark whose way of life is more socialist than this country would ever have the balls to try. And also I’m in the homestretch of Barbara Kingsolver’s The Lacuna which finds its main character brushing up against the post-WWII HUAC investigations. After the reading, I headed back over to see what the final results were. My picks definitely had to the most marks. Though all choices were marked–one older guy have all three marks to Michael Moore. The Knee-Jerk guys told me that security and other nearby official exhibitors were giving him trouble. I’d heard our friend with the poster board say that he was conducting “research.” Okay, so since I participated and was caught on video, I wanted to know more about what was up. By this time, he’d moved off to the side and was talking to someone. I approached, listened some, and joined in. Our researcher (whose name I didn’t get) basically wanted to conduct a social experiment to see how many people would actually, at a Literary Festival FULL of books, would seek to actually ban books. The correct answer, which many people gave him, which I should have given, which my Ernie would’ve given was “Sorry, no books should be banned.” Later, over vodka pineapple martinis on our back patio and dinner from the grill, a friend suggested that instead of banning particular books, we should ban book contracts. Which is also funny in that knee-jerk kind of way, but still has serious undertones and sends my brain spinning toward the business side of things, but that’s a whole nother, if related, topic. The other guy talking to our researcher–who expressed more regret with his participation than my little bout of paranoia had given me–said that the experiment was less about banning books and more about banning people, which is where I myself immediately went. So this project, our researcher plans to put together a YouTube video and sending it to the world (which two days later, I have not found). After learning that our researcher professed that he was “as far right as you could get” the suspicion felt by the other guy is that the project aimed to expose some sort of left wing hypocrisy by way of duping us with tongue-in-cheek humor (he also suggested that while his range of books was varied, the 3 books I chose and that “won” were all on the top line along with one other–that the arrangement was skewed to prove some point). Ernie was like You fell into their trap! Though I don’t think it was a trap. It’s a rather interesting idea for a–shall we call it a stunt? And he ran with it. The other guy asked that he not be included in the video. And since he went there, I asked to not be included as well. Our researcher said that his intent was not to unravel us in any way, and that he’d respect our wishes since we took the time to talk to him, and that we’d just have to take his word. Not that I really feel that my participation in this, as a writer and a reader and a person, will be my undoing. But hey, just in case, right? I could not talk about it–or write a blog post about it. Heck, maybe this post will be more of an undoing than being “caught on video.” Maybe this post is a sort of preemptive “damage control” strategy. Actually, it’s just writing about an experience that went from lighthearted to heady. And maybe it’ll strike up a conversation if people find it and are inspired. Actually, can we just talk about banning leaf blowers instead of books? As I finish this, my building’s maintenance is polluting the air with noise and gas fumes just to blow some tree droppings and dust to another part of the grounds, something a broom would just as effectively take care of, thank you. Seriously, in my daily life, leaf blowers rile me up more than the State of the Union. UPDATE 7-11-11: So, the video is up and running! Went live today and is already all over the “red” side of the interweb. I had to stop reading the comments on YouTube and other sites I found it on. Just had to. True to his word, I was not featured. Having trouble posting the video, so I’ll just include the link, if only for the sake of context and completion. Here’s the link: http://youtu.be/OCcYSRACwx0. Story Lab Chicago Launches & Other Updates! Hello Friends! So, like Happy New Year! Boy, is this site due for an update. October seems so far away now. And I’ve finally posted all my photos on Flickr of my amazing California trip. To follow up on the previous post, Story Club was an awesome time, if a little mellow due to the cold November rain that evening–which has beauty in itself of course. Hoping to get back next month to maybe snag an open mic slot. I have a Valentines Day themed piece that could be good…. 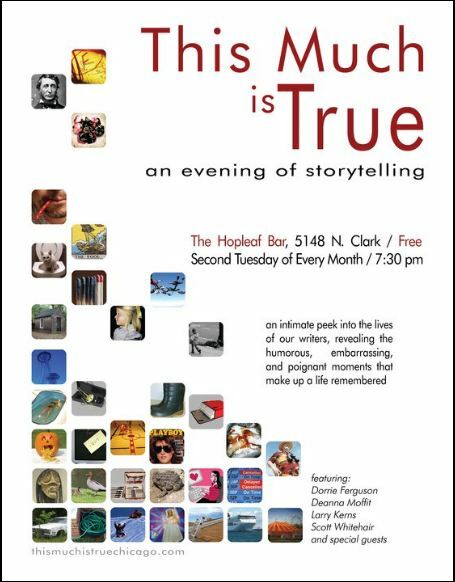 In the mean time, I have a storytelling gig coming up on Wednesday January 19, 2011 at 7:30 pm at the Black Rock Pub on Damen and Addison in Chicago. Story Lab Chicago is a new venture by the fine folks at This Much Is True. SLC features new and new-ish writers/storytellers. Check us out! And visit the web site and become a fan on the Facebook. I’ll be debuting a new story, which is still coming together, but getting there. 🙂 If you see me in Caribou this week, you’ll know what I’m doing. Other writerly goings on these days…. ~ Battles With Boys took another step closer to reality thanks to a handful of friends and a class room at DePaul University where I was able to share an official first draft of the show as a full length entity comprising of various short pieces. A discussion proceeded and there is much to think about. The next step will hopefully reach a wider audience. More to come…. ~ Mining My Life: This past year has been in part focused on organizing all that I Have. Loose pages of high school and college poetry, 7th & 8th grade assignments, ETC, are all in one handy folder in order which works for the chaos of it all. My 19 handwritten journals plus my private cyber journal are getting the personal indexing treatment (getting there….) so that I can quickly look up things instead of spending hours trying to find it. My journals have been particularly helpful for my CNF work–and along the way I’ve gotten inspiration for my fiction as well. Journal #1 will come in handy for an upcoming project landing this Spring (TBA…!) This all helps my brain process the fact that I’ve reached the age where the past is just as overwhelming as the future. ~ NewTown Writers: Leg work to be done soonly on Solo Homo 9. Stay tuned…. ~ Open Books: One of my goals for the end of 2010 and into the new year was to do a little volunteer work. Thanks to the fine folks at Open Books (Chicago’s leading literacy non-profit), I’ve been able to work a couple sessions of the Adventures in Creative Writing Field trip program. So far, I’ve worked with high school girls on prose, and 3rd graders on poetry. The little ones were more into it. I have a couple more sessions this month as well. If you’re so inclined, you should check out all the volunteer section at the site. Shown below is a cool photo someone snapped of me and my 3rd graders who make you fall in love with them, then they leave and break your heart just a little. Well, that does it for now. If I’ve forgotten anything (it happens), I’ll shoot another post. Cool things abound in 2011. Can’t wait! Cheers. Off The Rocks 14 Released! NewTown Writers is proud to present the 14th volume in our on-going print anthology, Off The Rocks. It also coordinates with the group’s 30th anniversary this year. This edition includes my piece, The PB Club, which I’ve previously presented to audiences of Solo Homo and Story Club. For this time around, we’ve set up shop at Lulu.com to handle printing and world wide distribution. Seriously, we’re going to take over the world. 🙂 Copies will also be available at future NTW events. Click HERE to order you copy! Hey Everyone! Join me and NewTown Writers for the 8th installment of our FABULOUS performance series, Solo Homo. I’ll be debuting a brand new piece, Dance of the Ring. Visiting Newtownwriters.org will give you a bunch more info as well as a link to the fabulous Brown Paper Tickets for online ticket purchasing. One of my favorite things about BPT? They generate a press release using all the info you give them about your event. How cool is that?! Anyway. Last night, in my continuing Chicago reading series exploration, I finally hit up Story Club. The series lands once a month on a Thursday at Uncommon Ground on Clark, and features a couple of featured writers and five open mic slots. ESSAY FIESTA last night was a wonderful time! Getting “Playing Guns” out there in the world has gotten the gears going as to where the story will go next…. Thanks to Keith and Alyson for having me. Cheers to the other readers: Andy, Randy, Paul, and Suzanne. And thanks to all who joined us in the audience! If any of you have found this here WordPress site of mine, here’s a photo of my Grandfather with his pigeons. Since this is also linking to my Facebook Notes, you all get to see it too. I suppose this post will also cover some of October to fill in all those gaps between cookie baking, Kathy Griffin, and Miley Cyrus. I know your lives feel empty without knowing the scoop. This photo here was taken on my pre-birthday road trip to Gebhard Woods State Park and the Illinois & Michigan Canal Trail in and around Morris, IL. I had a window of good October weather and time off work. ‘Twas a lovely quiet day of hiking and talking to myself and the voices in my head. Lots of writerly conversation. 🙂 While only an hour away or so, it fulfilled my wanderlust in the tradition of past October trips to Vermont, Oregon, and Europe. Took many photos, most but not all of which have been uploaded into my Flickr. This was one of my favorite finds! All the naturey stuff was cool, but this find made my day. As I say in the photo’s Flickr description, it’s not 100% accurate and fair to say that All Mormons Hate Us, but they sure as heck have been making a name for themselves lately. I’m feeling the pain of Maine (& etc.) I definitely felt a kinship with the trail walker who came before me. So, yay to whoever you are…. My birthday on the 25th was a good one. Mellow, but wonderful. Brunch, then later dinner and drinks with Ernie and friends. Some time to myself in between. I made a trip to the Art Institute. It had been a while, a few years. I always love their photography gallery. They’re currently showing a collection of Victorian photo collage works. SO cool. I also hadn’t been to the new Modern Art Wing. Breath taking. I dig all that stuff. Had a moment with Picasso–it was his birthday too! I also enjoyed the student/journalist/etc. interviewing the gallery worker in the section with the clown abuse film, light installations, and other very contemporary work (sorry for the general terms here). I wanted to hang out and listen more, but that would’ve been creepy. Like the clown. I’ve attended a couple writerly events in the City in the past couple weeks. As always, the amazingly fun 2nd Story had an event on the 8th at their home base, Webster’s Wine Bar. My Solo Homo pals, Byron and Sara, read and directed respectively. Last night, Essay Fiesta, a brand new series held its inaugural event at the Book Cellar. Essay Fiesta features personal essays and comedy. It’s a free event, but with the opportunity to buy raffle tickets to benefit the Howard Brown Health Center. They had an awesome turn out last night. You should go to the next one in December. It’s right around the Holidays, but if you’re around and inclined and want to hang out in the way cute Lincoln Square neighborhood, do it. I’m looking to hopefully be involved in future editions. And of course, 2nd Story’s December deadline approaches…. I’ve recently gotten in the habit of tracking my writerly activities on my private/Friends Only blog. I call these entries “Writerlogged.” I jot down every day-ish what I’m doing, working on, attending, etc. They’re keeping me in check. And they’re things that don’t necessarily need to be posted in a public forum like this–jottings of works in progress, process, hopes and dreams I don’t want to jinx by announcing them to the world. Etc. When I feel like my life is being taken over by laundry and my restaurant job, I can be like Hey, this is what I did and this is what I need to focus on and stuff. The posts also apply to reading and watching which feed the writerly stuff. It’s good. So I have been working on various things. I’ve been giving some love to a handful of short stories that are in various stages of life. Also working on a CNF/Essay/Solo piece. I like going back and forth with this. Sometimes I really don’t want to deal with myself and my own life. So I write about others. Beyond this, there are always photo, media, etc. projects that want love too…. With that, I’ll end this, but hope to post other bits soonly. Happy Creating, Everyone. It’s almost the middle of August, and summer is definitely trucking along. We had a delightfully cool July but are definitely feeling some dog days this month. A hot summer makes the relief of Autumn even more special. For those who know me, Autumn is high holy season around here. It’s my first back in the city. I’ll definitely miss Indiana for it’s Autumness, but will seek out the city’s delights–but that’s a nerdy post for later. To follow up on my Band of Brothers Revisited post, shortly after I posted it, a fellow WordPresser lead me to Alan Sepinwall’s blog, What’s Alan Watching? He’s the TV critic for the New Jersey Star-Ledger. This summer, he did an amazing series on Band of Brothers. I recently finished going through his posts and many of the comments. Had I known about it (we were watching it at the same time! ), I would’ve definitely joined in the conversation. Alas, he wrote his last post about the same time I wrote my own BoB post. I still want to comment on his final entry. The whole thing is a wonderful in depth conversation for BoB nerds everywhere! I’ve spent part of the last month haunting neighborhood used book stores (plus my indie bookstore down the street) looking for Malarkey’s and other related books. I think I want to read at least Malarkey’s before I borrow my brother’s copy of the BoB book, which I still haven’t read. I want to despite the gnawing voices of the Ambrose haters on Amazon (which does have everything I want…). I should stop reading things like that. Just upsets me. 😛 I’m also interested in reading E.B. Sledge’s With the Old Breed, which is one of the sources for the upcoming The Pacific film. How exciting that Sidney Philips will be a character in the new project! I’ll save my WWII reading for the Fall, as I’m trying to focus on other reading this summer. My “To Read” list is growing with older and newer books (like, I still need to get to Sarah Vowell’s latest! ), recent acquisitions, and books on Ernie’s shelf. I’ve taken a couple times to sit outside–even go to the lake–and read my Walt Whitman collection. Perfect for summer on a blanket on the grass with the lake’s breeze. Definitely won’t finish it this summer, but it’s good to have at my side when I’m inspired. I also have the Best American Short Stories 2008 collection at my side when a dose of short fiction is in order. I finally finished the 3rd (with six more to go!) Sookie Stackhouse book, Club Dead, and totally loving the new season of True Blood! My current non-fiction reading is Michael Davis’ Street Gang: The Complete History of Sesame Street. What a joy! And it had me in tears in the first paragraph of the prologue for real. I’m three chapters in, which is a fascinating account of the history of children’s television in general. The Captain Kangaroo stuff is cool. I’m trying to make more time to read actual books. Less sitting in front of this computer and more reading, yo! But the computer is good too. On the writerly front, I’ve been focusing on two short stories this past month or so. I’ve also been working to organize all my works in progress. I’ll always be adding ideas, but I’m trying to focus on further developing my most developed work so I can start taking it to the next level. One story is inspired by my neighborhood in South Bend. I really love this piece (which I started in November for my short story edition of NaNoWriMo) and am getting more and more into it. It’s also been good to harness my Indiana experience creatively–something I want to continue. Another story is more fantastical and quirky and inspired by an Indiana friend of mine. That’s all I’ll say for now. 🙂 These stories are written in 1st and 3rd person respectively, and if I’m going to flip flop between strories, I like that variety. On the CNF front, I made it through the first draft of a story about Truman’s bar in Indiana. I’ve also rebounded from Playing Guns rejection and am preparing it for another submission–to a place that’s perhaps a better fit. I’ve also typed out my grandfather’s journal like I said I wanted to. Very cool. With that, I’ve registered another WordPress site which will be more family oriented. Not sure how public it will be, but it will definitely be a cool place for family and friends hopefully. It was this random, amazing, frustrating, weird, beautiful, creative, inspiring, annoying experience in our lives. While we can definitely tell our “Indiana stories” boiled down to some laughable cocktail party tales, I get a little Stockard Channing at the end of Six Degrees of Separation where she seeks to make sure her experience truly becomes a meaningful part of her life. I know I will continue to do this myself in my work–whether in short stories, solo pieces, journal entries, or what have you. Just like I try to do with everything else. I can’t deny the new perspective our time there offered. Finally, in NewTown Writers news, after a successful Solo Homo 7, the Fall 2009 event is in the works. We wanted to do some sort of short plays event, and it looks to be gearing toward a Reading event with some brand new works. I’m currently working with a number of members on developing their pieces–and looking to include a few more. I’m wearing my producer & director hats on this one so I can focus my writerly energies on other things. We’re looking to go up mid-October. Will post more later! I’ve also started attending the bi-weekly literary meetings. I’d never done that before, mostly because of my old work schedule and not living in the city for a few years. It’s been fun–I’ve been able to workshop one of my current stories as well as hear some of the work in progress for the fall. And now that meetings are looking to be at the Center on Halsted, that’s a bonus since I can walk there. Awesome! Upcoming fun things are in the works. Looking forward to them and to getting more work done. Will tell you all about it…. NewTown Writers Presents: Solo Homo 7! This year’s line up of storytellers includes Cookie Crumbles, Byron Flitsch, Sara Kerastas, Deb Lewis, Timothy Rey, Mike Rogers, Lisa Scott, Josef Steiff, and Michael Van Kerckhove. And here’s another photo. Cos the Chicago Tribune banner makes me look more important, right? 😛 My photomate is Jill, NTW’s current president. She’s cool. All right, off to do more show stuff….